Every computer user keeps critical and important data on their system and which is why it is absolutely recommended that one must protect their computer with a password. The reason why everyone should put a password on their computer is to keep it away from strangers who are trying to steal or misuse your documents or other private stuff. But if you change your password regularly then you can forget the password of your computer someday and without inputting the correct password you won’t be able to access any files or documents contained inside your computer. It is understandably messy and awkward situation because if you are locked out then even you won’t be able to unlock your computer or laptop. But never worry, in this guide, we are going to show you three ways to bypass Windows 10 password. This part is only recommended if your computer has no valuable items at all as using this method will totally wipe out your computer. So, kindly understand the consequences before implementing the below steps. Step 1. Insert the Windows 10 disc to your computer and reboot it. Step 2. Click on “Install Now” on the main Windows 10 program screen and follow the instruction. Step 3. Finally, format your primary disk and install the Windows 10 OS again. Step 4. After several minutes your computer should turn on normally and it should erase the password. It will delete all the files, folders, documents etc. from your computer. Only use this method on newly bought computers. Not recommended if your computer has private and valuable data. Method #2: Reset Windows 10 Password Using a Password Reset Disk. If you have taken appropriate precaution and made a password reset disk before getting locked out then you can easily reset Windows 10 password without any worries. Follow these steps to bypass your Windows 10 password. Step 1. Reboot your computer and on the login screen, enter some wrong passwords around 5 times. Step 2. Now you will be able to see a “Reset Password” link under the password input field. Step 3. Click on it once and a new setup window will appear that will ask you to locate the driver where you saved the password reset disk. Step 4. Now, enter a new password for your computer and use it to access your system. This part is only eligible for those who created a password reset disk before getting locked out. It only works on your self-computer, not on others. Doesn’t work for root or domain administrator accounts. If you don’t have a password reset disk or if you don’t want to lose any data from your computer then the best way to bypass Windows 10 password is to use a commercial password recovery utility like iSeePassword – Windows Password Recovery Pro. With this program, you can remove or bypass any kind of Windows password from your Windows computer. It doesn’t harm your computer and it never deletes any files from your system. Basically, it allows you to create a password reset disk and use that bootable disk to remove the password from your locked computer. Bypass or reset password with a few simple steps. 100% password recovery guaranteed. Works with Windows 10/8/7, XP, Vista and all other Windows OS versions. Easily create a password reset disk with your USB drive or CD/DVD. Compatible with every Windows brand and model including HP, Dell, Lenovo, Toshiba, Samsung and so on. Life time free upgrades and life time free support. A DVD or CD or USB flash drive with at least 512 MB of storage space. A distinct computer or laptop with Windows installed. 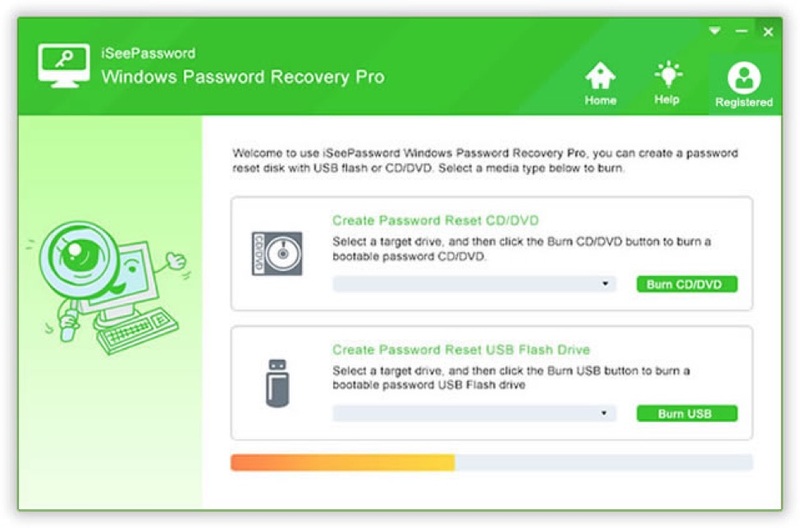 First, install the password recovery program on the borrowed computer and insert your USB stick or DVD to create the bootable disk. Then click on “Burn USB” or “Burn CD/DVD” – depends on what device you are using. Now, use this bootable disk and insert it into your locked PC. Then turn on the computer and the iSeePassword program should be started automatically. Select the targeted locked user and choose the OS version that you are using like Windows 10. Now click on “Reset Password” to remove the password from your computer and restart it. That’s it, you may now access your PC without any password at all. In this tutorial, we have shown 3 ways to bypass Windows 10 password but first 2 methods have its own limitations. 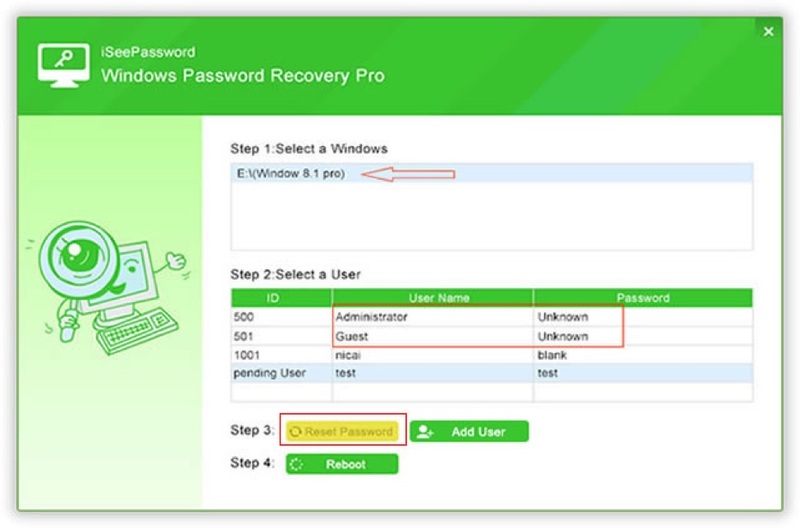 To overcome these drawbacks, you could use iSeePassword – Windows Password Recovery Pro utility to remove the password from your computer completely. 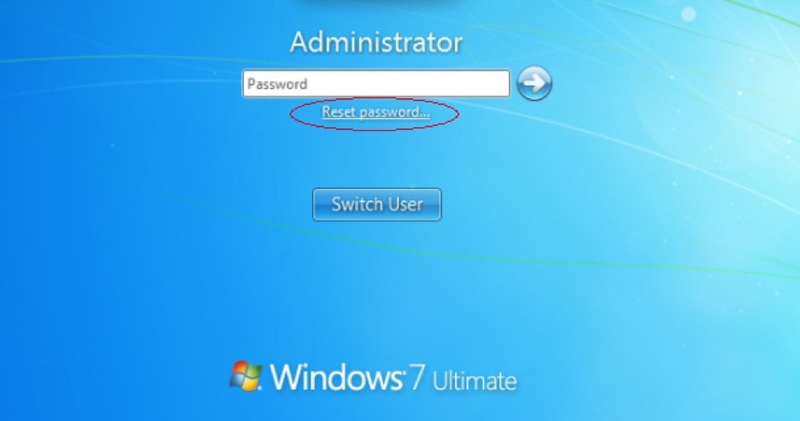 It is 100% guaranteed that you should be easily able to reset your Windows 7/8/10 password. And most of all, you won’t be losing any data at all.